Over a year ago, I had the opportunity to experience PeachSkinSheets and share my thoughts. At the time I was really impressed by their quality but I now have many more nights behind me (or underneath me 😉 ) and can share even more insight. They have held up and still look like new, no fading or pilling. I was asked to review a second sheet set and jumped at the chance to tell you that the first set (a year old) show no wear and tear at all. If you have someone with sheets on their “wish list” this Christmas, these are the real deal. They are a truly a gift of comfort that will keep on giving night after night! The reviewer was provided with free product in return for an honest review. All thoughts and opinions are the reviewer’s own and based on their experience with the product. The first time I received these PeachSkinSheets, I was so impressed with was how beautiful the packaging was. They did not disappoint when I received them for the second time! They arrived wrapped up in gorgeous orange paper and an adorable little peach hangtag. No need to re-wrap…this packaging is simply perfect for a Wedding, Christmas or Birthday gift! I washed my new sheets (cold or warm, no hot water) and dried them (on medium heat for 20 minutes to prevent any pilling) and was again impressed on how the wrinkles come out so easily. I have many sheets where the flat sheet still has the original packaging crease in them. Don’t you just hate that! Not with PeachSkinSheets! They truly are wrinkle free. Another thing that irritates me is when I struggle placing a fitted sheet so that it covers the entire mattress. Sometimes I feel like I have been through a wrestling match. If that isn’t annoying enough, I then wake up in the middle of the night to the corner of the sheet popping off the mattress and either my husband or my legs tangled up. You won’t find that with these PeachSkinSheets. They have 18 inch Deep Pockets that make it a breeze making the bed up and assuring that the sheet stays put. In addition, they do not shrink so you never have to worry about your fitted sheet being too small. That is a so important to me! Prior to discovering PeachSkinSheets, it was almost a full time job finding Split King Sheets. Not anymore. PeachSkinSheets are available in so many sizes and beautiful colors that I can find the perfect color for our Memory Foam Split King Adjustable Bed or our guest bedrooms for any season or color scheme. Over the years, we have tried many different microfiber sheets but none of those compare to these. The finish is much softer on these and much more important than that, no pilling with PeachSkinSheets. I also have issues with callouses and rough skin on my feet and there is absolutely no snagging on the sheets that I have had for over a year. We are finding with a memory foam mattress that these PeachSkinSheets with the Thermal Control and Moisture Wicking Properties is a necessity. The sheets feel cool to touch and are breathable so both my husband and I (who are hot sleepers) are more comfortable at night. They also are anti-microbial and will not trap dust or pollen. It really is so satisfying to know I can get a set of quality sheets that are reasonably priced. PeachSkinSheets have specials each month making the price even more affordable. They have 2 Colors of the Month priced at $55 (except specialty sizes). Now that I have two sets of these wonderful sheets for our Split King bed, I need to think about what gorgeous color I want to get for my guest bedroom so my guests can sleep with the luxurious feel of 1500 Thread Count when they are visiting! Not quite sure what color will match your bedroom decor? 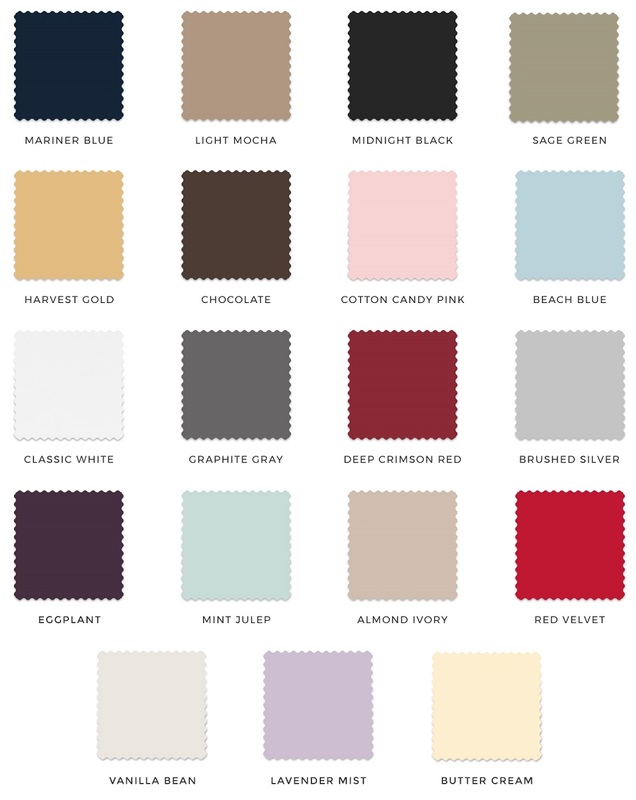 PeachSkinSheets also has a free swatch program where you can order free swatches and get a feel for the color before you place your order. Be sure and follow PeachSkinSheets on Facebook and Twitter to get all of the latest updates and specials. Regina Fleming is retired and enjoying life in northern Arizona where she recently moved from Iowa with her husband and loyal fur companion, Taani. Together they are enjoying exploring their beautiful surroundings and the old-west history as well as the local cuisine and farmer’s markets of the Southwest. She is also the creative mind behind some of the different DIY projects that she and her husband are working on in their new home and will be featured on Imperfect Women in the future. I need a new set of sheets badly. I am going to check out peach skin sheets. Love all the color choices. These sound like they’d be perfect for our bed sets. I definitely like that they don’t pill and the thermal control sounds good too. If it’s microfiber, I’m in. Nothing but! I’ve been wanting to try peach sheets since I saw a blog post about it. 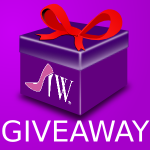 Every time I see a giveaway for it, I enter hoping to win! I really like the Mariner Blue. I’ve always wanted to try these. I only read the nicest things. Oooo nothing better than a brand new set of sheets!!!! I need a new set super bad so I will have to look more into peach sheets! I’ve heard great things about PeachSkinSheets. I think I may have to give them a try soon. These would make a great gift. I’m always looking for sheets because I’m quite picky and many of the ones available in the market are either too thin, easily wrinkled and worse, itchy. You’ve made me really curious to try PeachSkin Sheets. I am eyeing two colors right now. These sheets sound like they are very nice. I love the color selection and all the other benefits they have. I see these all over the internet. I probably will break down and try them, just because I’m thinking they must be good if so many people are raving about them. I like the huge color variety that they have. I like that they are wrinkle free. That works for me. I was amazed at the assortment of colors that there is. I would love the graphite gray color! I love that they do not wrinkle! I love all the colors the come in. I also love the 18″ deep pocket. I so need these sheets, and this review made me want them even more! I love that this review comes after you have had the sheets for a while. I have definitely bought sheets that were great to start but then pilled after a few washes. We could always use new sheets in our home. I love that these are wrinkle free and that they’re soft to the touch. I have some PeachSkin Sheets & I like them so well that I just take them off, wash them & put them right back on! I’ve been using them like that for over a year & I haven’t seen any wear on them. As soft as they are, they are durable! I love getting new sheet sets! I will definitely be checking into these. I like that they have moisture wicking features and are antimicrobial. Wrinkle free is a huge plus also! I would really love a set of these sheets in the Eggplant color! There’s nothing more uncomfortable than sheets with lint or pills. And having to get out of bed to put sheets back on the mattress because they don’t fit correctly is extremely worrisome. The swatches for these are soft and the material seem to be of good quality. The color collection is incredible! These sound like wonderful sheets. I especially like that they have Moisture Wicking Properties. They also have beautiful colors. I like the sage green and mocha colors. I have sent for so many swatches during these contests, that I’d feel funny asking for more. Since I have, can I claim the entry? These sound so nice. I love that they have Thermal Control and Moisture Wicking Properties! I ordered swatches earlier this year – they were SOOOOO soft! Pretty colors, too. I love that they don’t wrinkle. That’s my major complaint against cotton sheets. I ordered the swatches a long while ago but still have them. They are SO soft! My favorite is the beach blue. 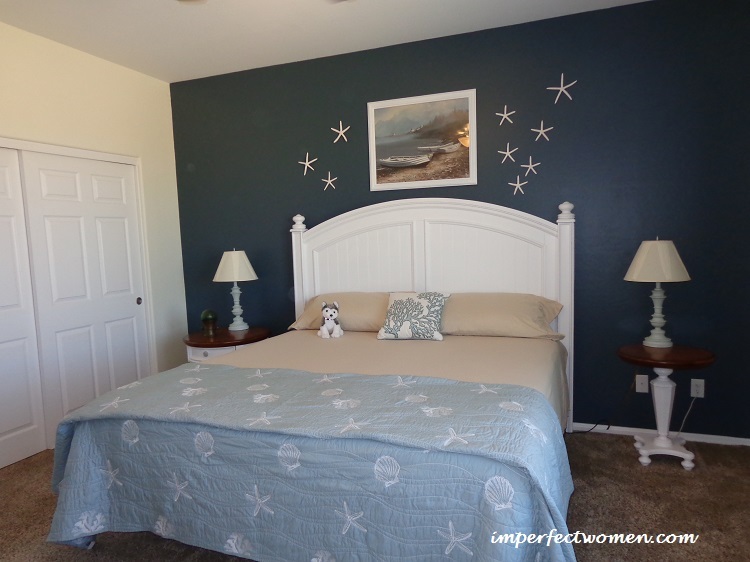 The photo is great and sheets look like a sand color…and love the beachy accents! I love that they won’t pick or wrinkle!! I would love to gift a set to my mom!! She would love them!! I have to have soft sheets-otherwise I’m up all night! Eggplant would be my color choice. Any sheets that do not wrinkle would be great. Also great variety of color choices! These sheets should heavenly! I love the no wrinkles and how they won’t show any wear & tear. They look so soft and pretty colors. I love curling up in a nice soft pair of sheets. Thanks for sharing your recommendation. We often wake up hot and the sheet feels a little damp. I think these sheets would help a lot. I have heard great things about Peachskin sheets. Recently, I ordered a swatch of the material and was very impressed at the quality of the fabric. I would love these sheets I love the feel of them they arnt really thick and heavy they look breathable . I love the moisture wicking that these sheets do. I would also love to get a pair for my son’s college dorm bed. I love the Lavender Mist color and need new sheets. Thank you for sharing! I love how soft PeachSkin sheets are. The color choice is amazing too. The colors are so beautiful. I love that they are super soft and wrinkle free. Our favorite feature are PeachSkinSheets’ Anti-Microbial characteristics; Prevent Dust and Pollen from Adhering to Fabric and Aggravating Allergies/Skin Issues. My aunt has a set of Peachskin sheets and I fell in love with this brand. Hope to win. I could really use a new set of sheet for my bed. The color selections are gorgeous. I also appreciate the 18 inch Deep Pockets. These sound wonderful. I really like that the pockets are so deep and that they don’t wrinkle. I need these for my bed! I really like that these don’t pill and that they have the deep pockets. The color choices are really nice. I own a set of these sheets and they are the best that I’ve ever owned. I love that they do not pill as well as are moisture-wicking when I sweat. These sheets are so soft to the touch. I would love another pair for when my present set is in the laundry. The new “lavender” color is on my list. I would love to try them, they feel so soft, my husband felt the samples and said he loved them too. I also love the 18″ deep pockets. I have been seeing these everywhere for roughly several months; many positives have been said. Soft, wrinkle free, soft. I have heard so many great things about peachskin sheets. I love that it is cool to the touch. I am also a hot sleeper and love having cool sheets to lull me into a comfortable sleep. Ive heard of these sheets,but have never owned any,they sound very nice! I really need new sheets and would love to try these in Cotton Candy Pink. Thank you for sharing! I would like to try a pair of these sheets in the cotton candy pink they look so soft & lasting…. I could use some new sheets and the sound wonderful. I love that they come in so many colors. That would make a good gift for my sister. She needs new sheets. 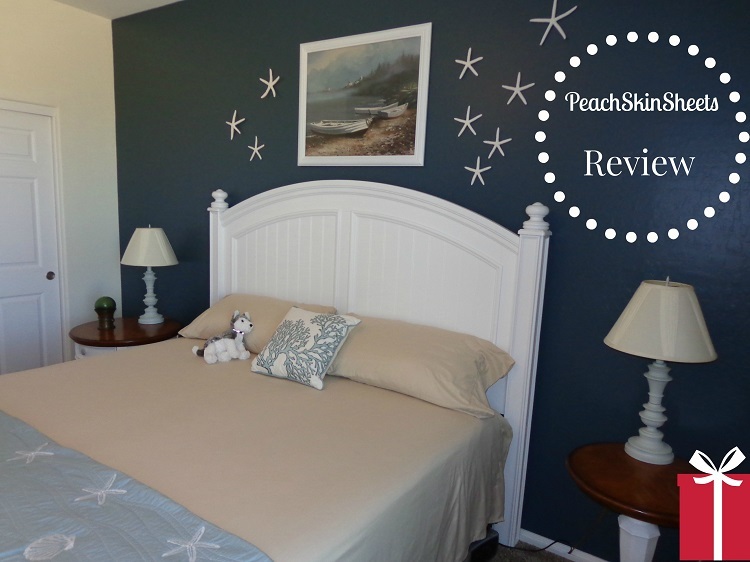 I have been on the fence about buying these sheets, but after this review I am going to give them a try! Thanks for all the info! I’ve gotten the samples and they are SOOOOO soft! I heard great things about this product. I need to go and buy some already. These sound like great sheets. I need a new set badly. These are the best sheets anywhere. They are so soft and so pretty! The colors are vivid and there’s a huge assortment to choose from.I can’t say enough good about them; oh, they wick the sweat away too, ha. Love them!